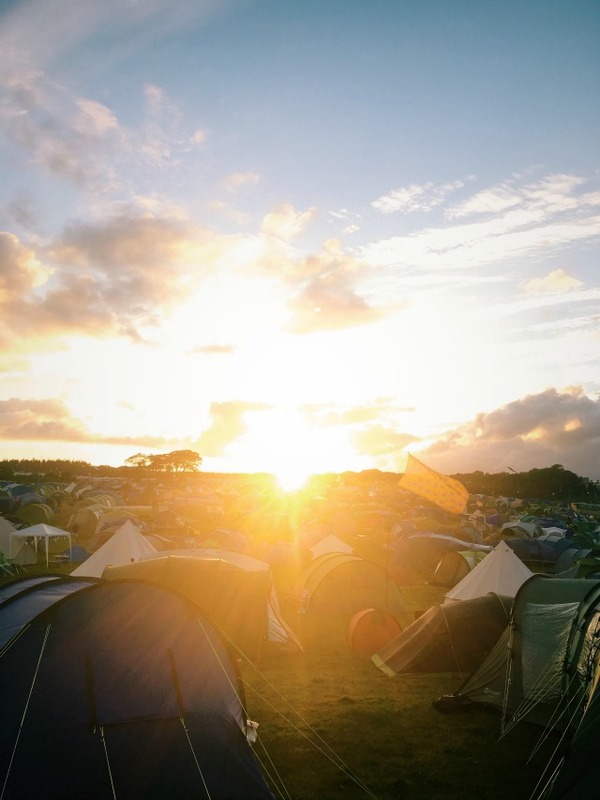 This time last week we had just returned from our annual pilgrimage to Camp Bestival, and there's no doubt about it: 2016 was bigger and better than ever before! 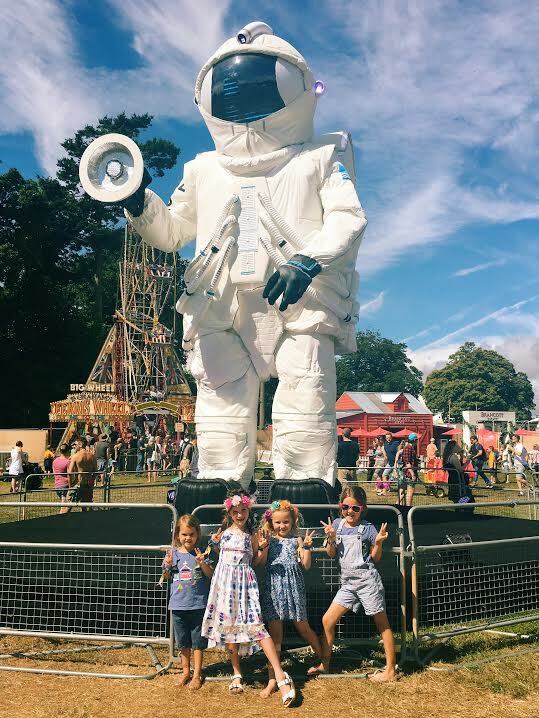 The theme this year was Outer Space and the effort that went into every single element of the festival really was out of this world. 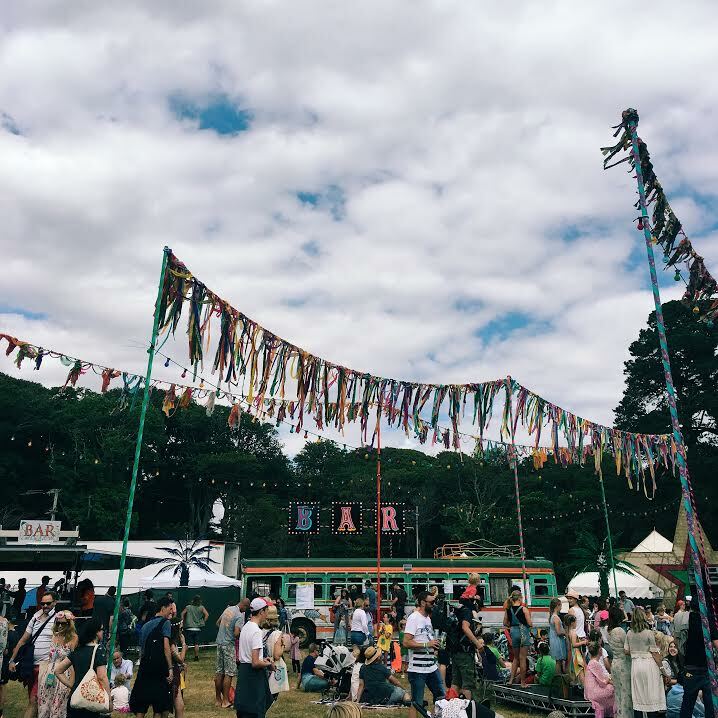 From layout to line up, and site decorations to everyone's fancy dress, the details were incredible and everybody seemed to be on the same, uber chilled out, kind and friendly wavelength this year which definitely made it the best one yet for me. 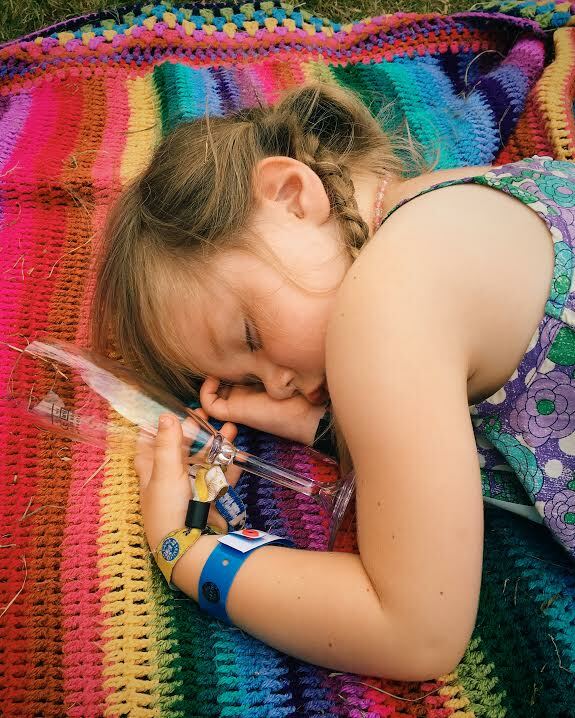 The girls had been on Camp Bestival countdown since March (yes, really!) so when we July 28th finally came around, and we eventually set off down the A3, they were beside themselves with excitement. When we arrived, we set up camp in our usual spot (close to the smoothie and toastie stall, where it isn't too hilly) with Ruth from RocknRollerBaby and Carolynne from Mummy Endeavours. It was pretty windy so putting up our tents was a bit of a challenge but we got there in the end (with the help of a couple of cold beers ;)) and just about had time to decorate our camp with lots of bunting and lanterns, courtesy of Flying Tiger, Copenhagen, before it started to get dark! 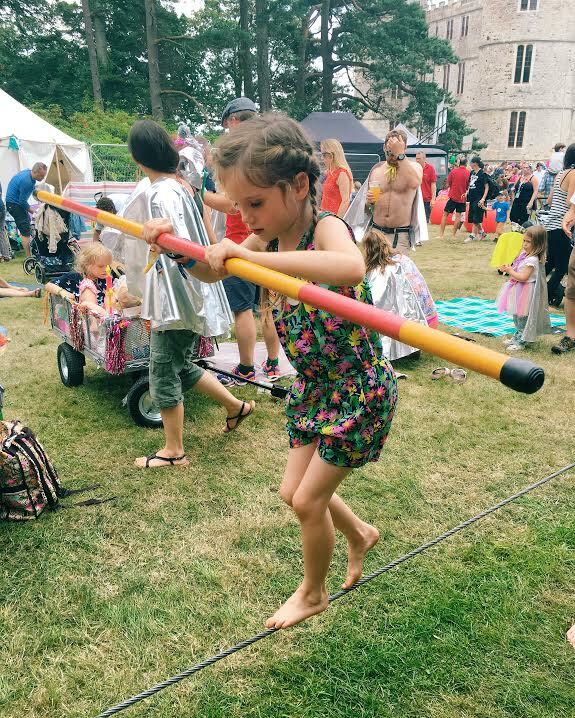 The thing I love most about Camp Bestival is that the kids can just run wild, and thats exactly what they do - literally all weekend. When you camp in a big group like we do, responsibilities are always shared out between all the grown ups; while someone cooks, someone else keeps an eye on the kiddos, and there's always someone to do a toilet trip, or to keep charge while another goes to the bar/to a food stall. 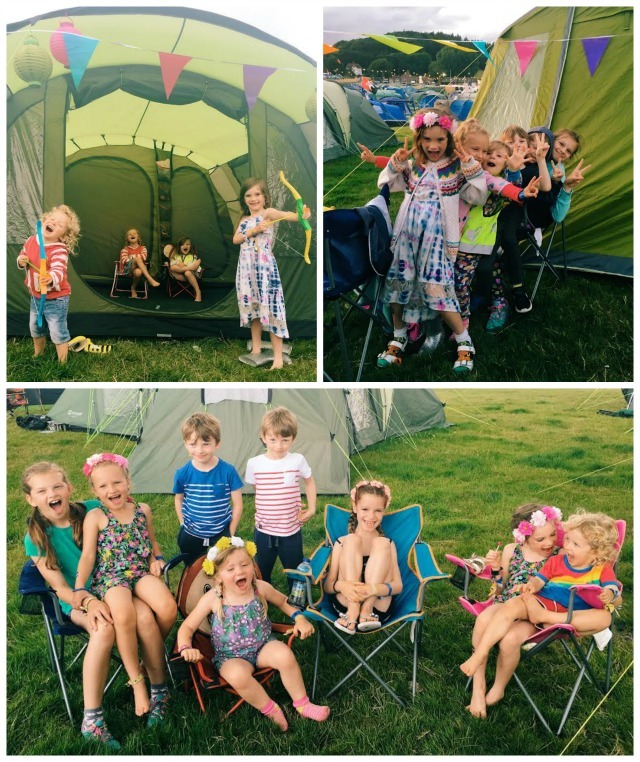 After four years, I think we've pretty much nailed it now and being at Camp Bestival really does feel like a proper holiday these days! The Three Amigos - flower crowns courtesy of Flying Tiger Copenhagen! 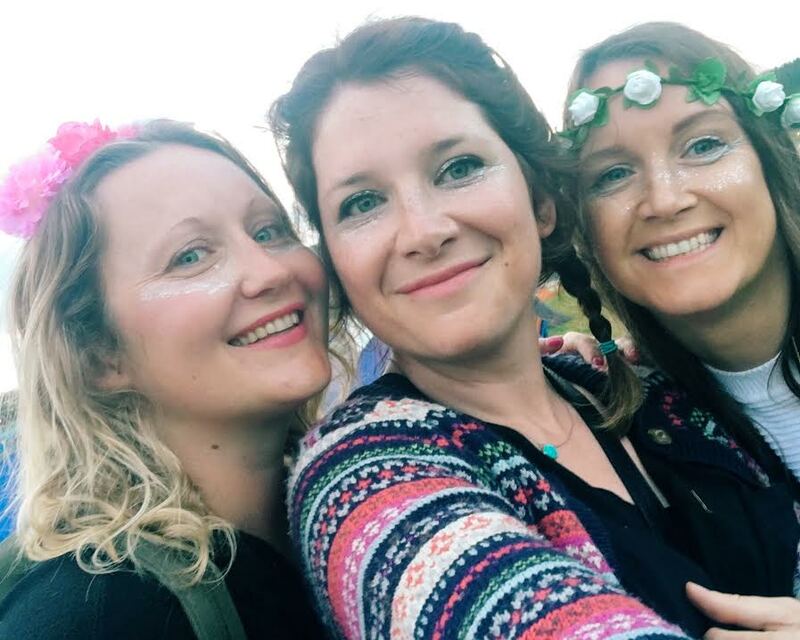 As well as camping with Ruth and Carolynne, it was lovely to meet up with Nat from Style Me Sunday, Emma from The Joy of Five and Uju from Babes About Town for a couple of glasses of festival fizz and we also bumped into Alice from Project:Wanderlust. Little details in the Dingly Dell... 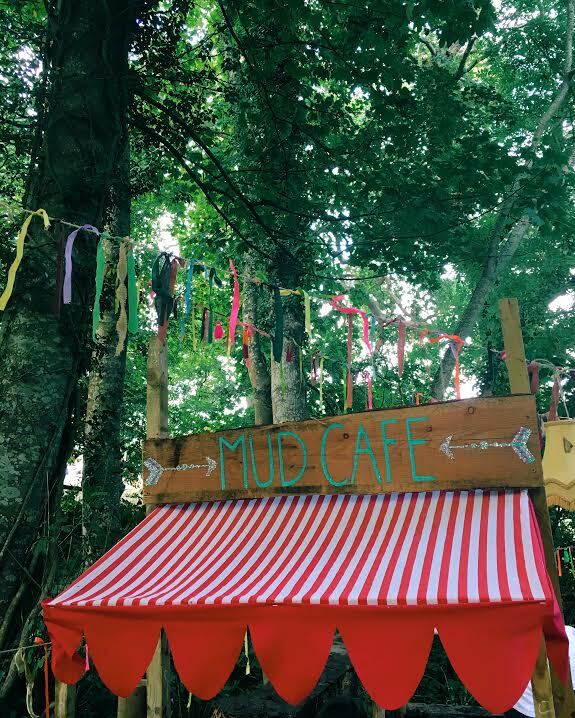 I'm totally inspired to make our own mud cafe at home now! Daisy showing off her circus skills! Evie named this tree The Broccoli Tree and it was our meeting point for the whole festival! The organisers had opened up the area leading into the Castle Stage which was BRILLIANT. It made getting in, out and through to the lower and upper kids fields so much easier - for the past three years there has always been a bit of a bottle neck at the spot inbetween the jousting field and the castle but this year they'd done away with the jousting which meant there was so much more space to settle down and watch the bands, plus the added bonus of not getting separated from your kiddos in the crowds! I absolutely LOVED that the Bollywood stage was outside this year. 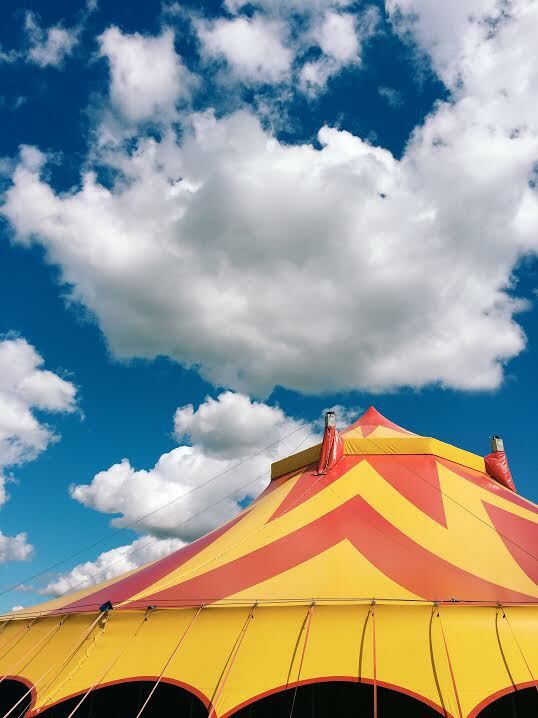 Usually its two tents, one containing the bar and the other the dancefloor. 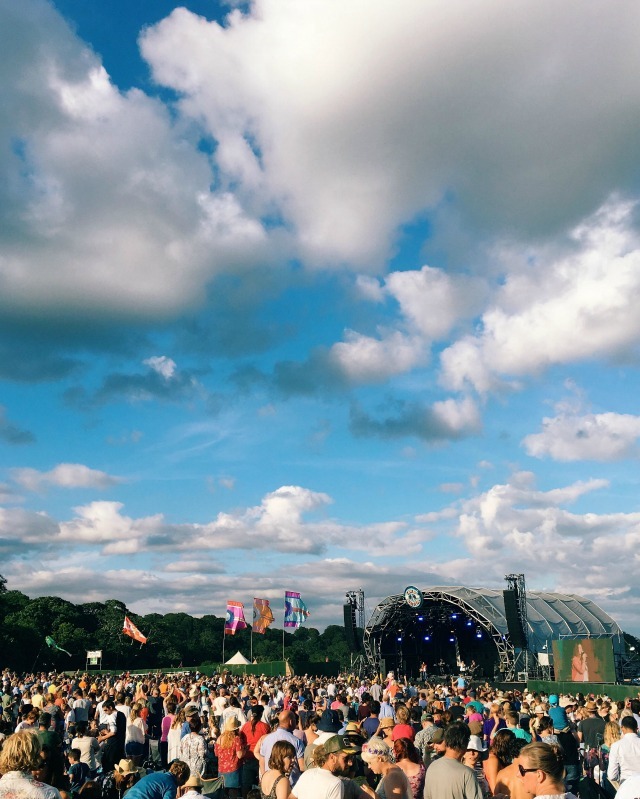 This year there was a large open air stage, and two open air bars (one in a bus!) - but there was still plenty of shade in the form of gazebos and umbrellas. What with the acoustic music (by day), the excellent and super speedy bar staff, and the shade for the kiddos (Evie napped under a gazebo twice, haha), it was my favourite place to hang out this year. Each year I give the girls some spending money and this year they chose to spend the majority of it at a yarn bombed ice cream van selling Little Fingy finger puppets. The van really was a sight to behold and the finger puppets were adorable (and very reasonably priced)! 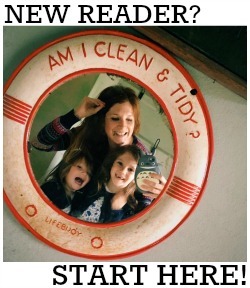 The girls have decided to start collecting them via their online shop. 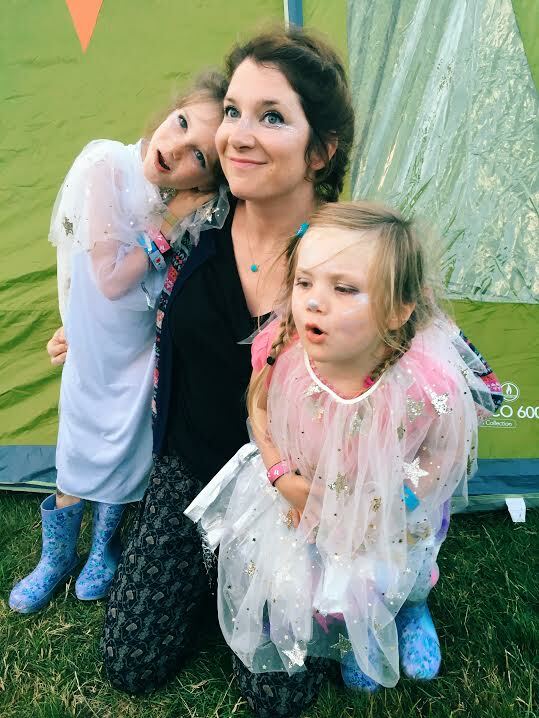 I think it's pretty obvious that we love everything about Camp Bestival (I honestly have no negatives this year, apart from how much of a struggle it was lugging all our gear to our camp by myself - I'm definitely contemplating celebrating our fifth year at the festival next year with some form of fancy pants boutique camping). For us it's all about the bare feet ♥ glitter ♥ flower crowns ♥ camp BBQs ♥ watching the kids cartwheel everywhere ♥ the AMAZING food (a special shout out to Chris from Chapati Man - my chicken sag and chana aloo combo was a highlight, as always) ♥ the miles and miles of bunting and flags and sparkle and flowers and pretty lights at every turn (especially courtesy of Lizzie's Way in the Dingly Dell) ♥ the Dingly Dell in general - we love EVERYTHING about it; the ribbon braiding, the mud cafe, the little reading nooks, the National Trust 50 Things Field ♥ the incredible effort that everyone puts into the fancy dress ♥ the fact its acceptable to drink gin at 10.30am ;) ♥ and of course THE FIREWORKS! This year, after a fleeting 12 hour stop back home to do laundry, sleep in our own beds, and show Mabel the cat some love, we actually went back to Dorset and spent a further five days on holiday with my family. We returned to Lulworth Castle for a tour of the building and gardens once Camp Bestival was over (something I've wanted to do for aaaaaages) and I really must comment on what an incredible clean up job the CB team did - you would never in a million years have known that there had been a festival there just four days before! 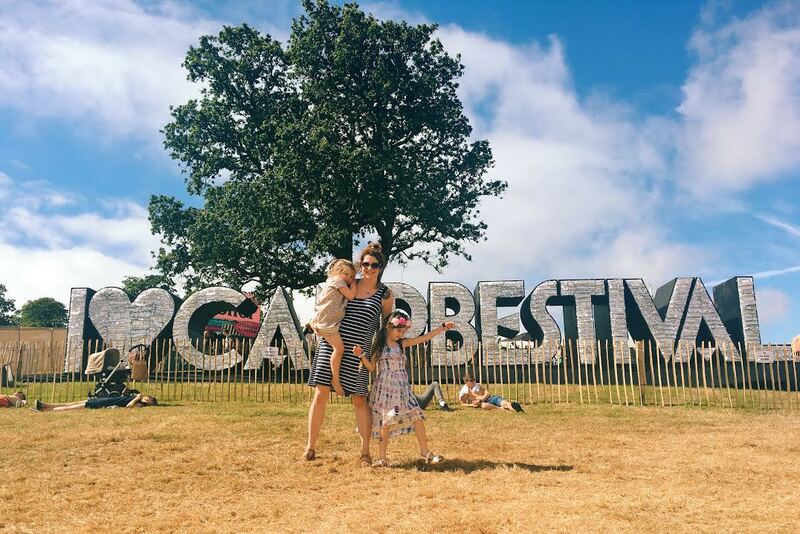 If you're contemplating going to a festival with your family then Camp Bestival is undoubtedly the one for you - in my opinion NOTHING comes close (and the Great British public must agree with me as it has been voted Best Family Festival four times in the last six years!) 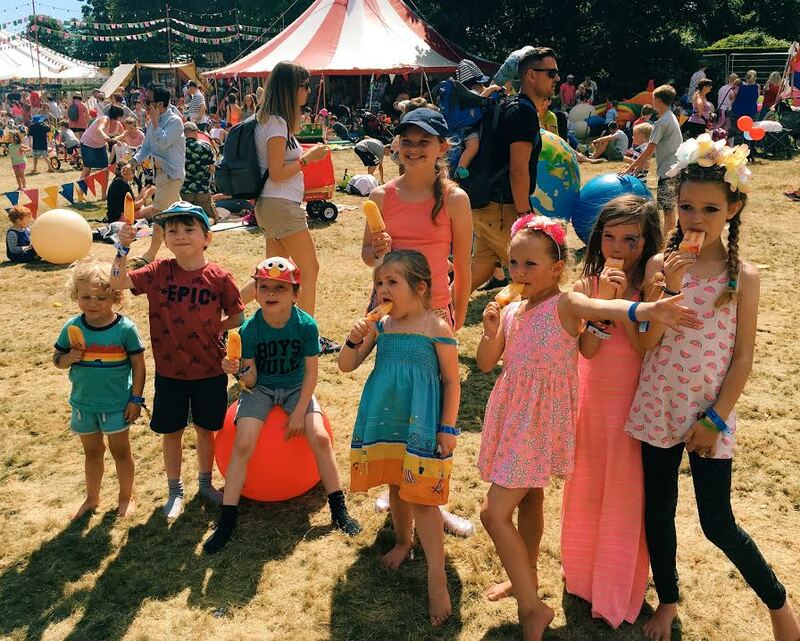 So round up your friends and get your tickets for 2017 sorted asap - early bird tickets go on sale today (you can nab yours for the bargain price of £175/£105/£80/£30/£10 for grown ups/13-17s/10-12s/5-9s/4 and unders respectively here). We were official Camp Bestival bloggers which meant our tickets were complimentary, but this is an entirely honest review. 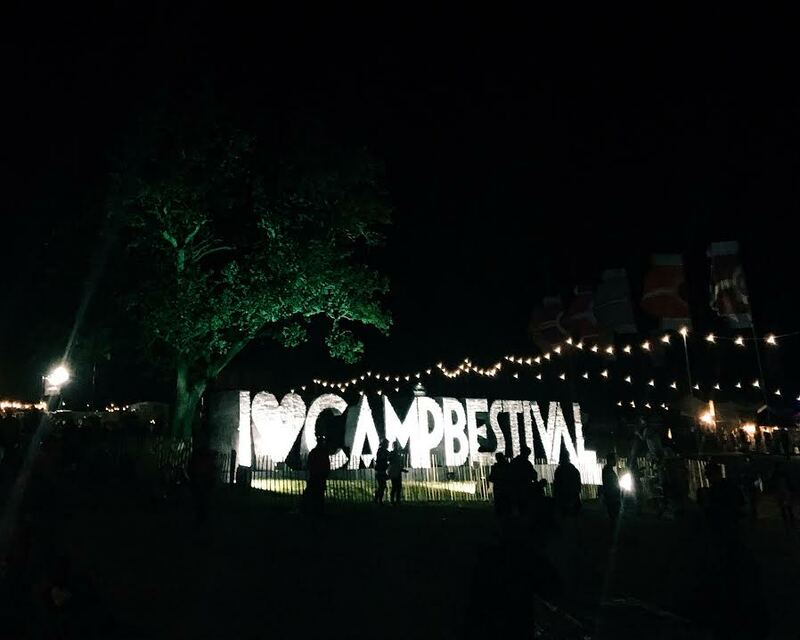 You can also have a read all about our past Camp Bestival experiences here, here and here if you fancy!